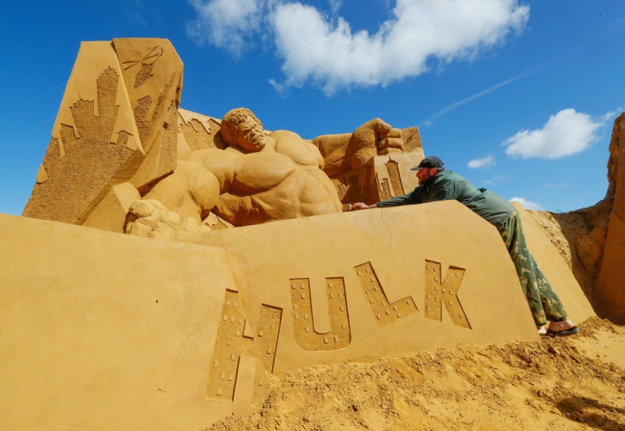 OSTEND: On a Belgium beach, an artist adds the final touches to an imposing sand sculpture of the Incredible Hulk and his bristling muscles ahead of the opening of the world’s biggest festival of its kind. 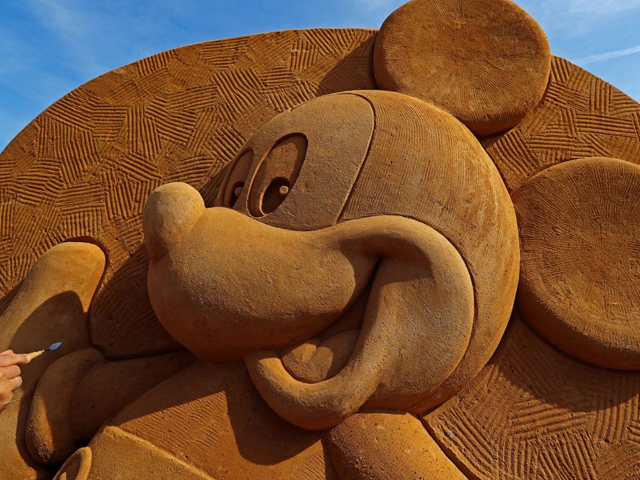 There are more than 150 sand sculptures relating to Disney, Pixar, Marvel and Star Wars films on the beach in Ostend for the Sand Magic festival which opens today and runs until September — providing the artworks survive the weather. 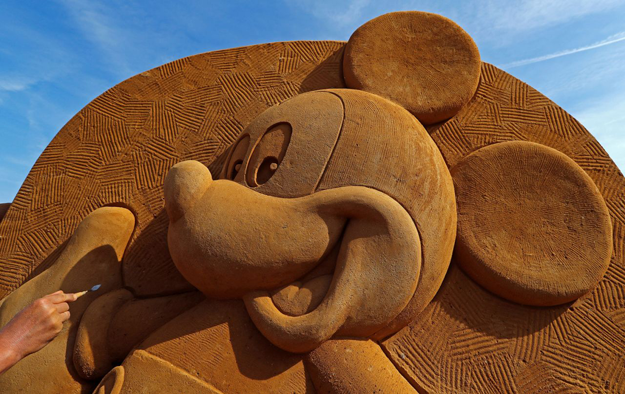 Recognised by the Guinness Book of Records as the world’s biggest sand sculpture festival, 34 international artists have spent four weeks creating the pieces using around 6,000 tonnes of sand. Some of the sculptures are several meters high. 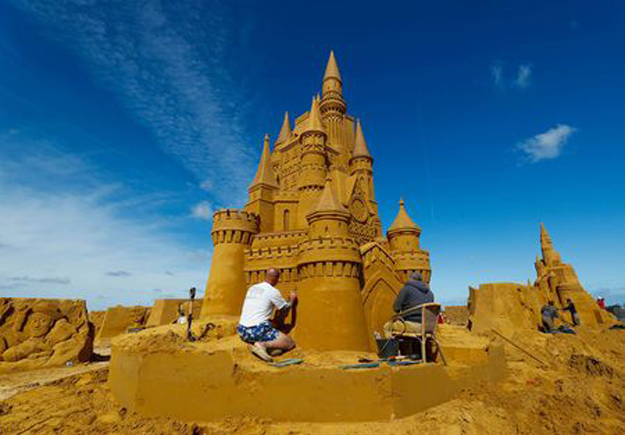 Many of the artists work in other mediums, such as wood or marble carving, and said they found sand sculpting presented some challenges. 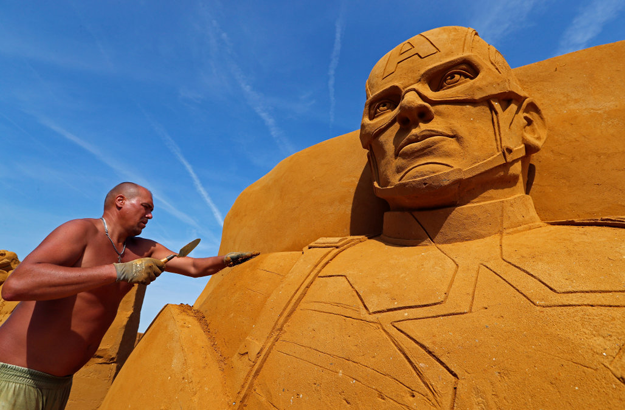 “What I like in the sand is that you must be very tactile while carving, I am also an ice carver and to compare with ice, the sand is very fragile,” Russian artist Sergey Zaplatn said. Among the depictions are works featuring Daffy Duck, Yoda and Bruce, the grinning great white shark from Finding Nemo.